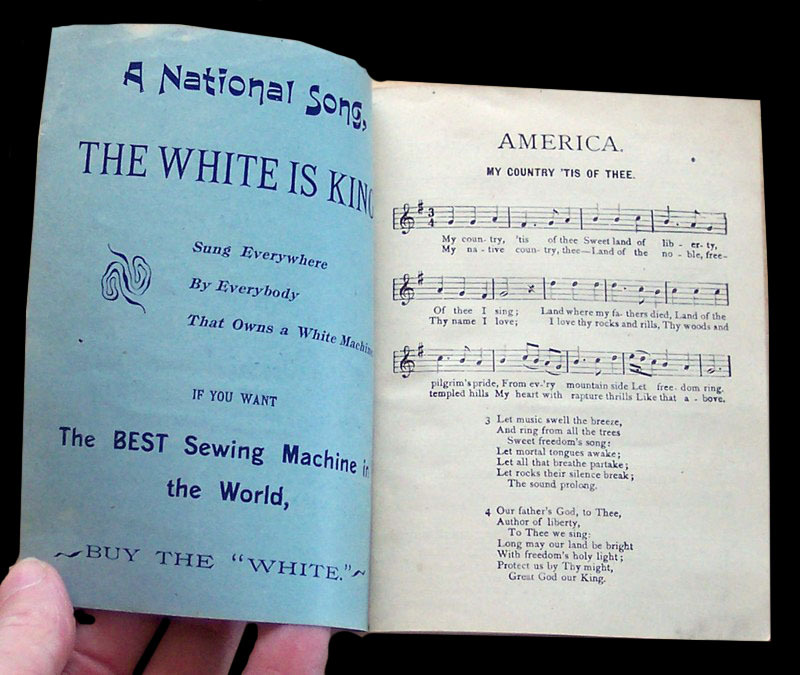 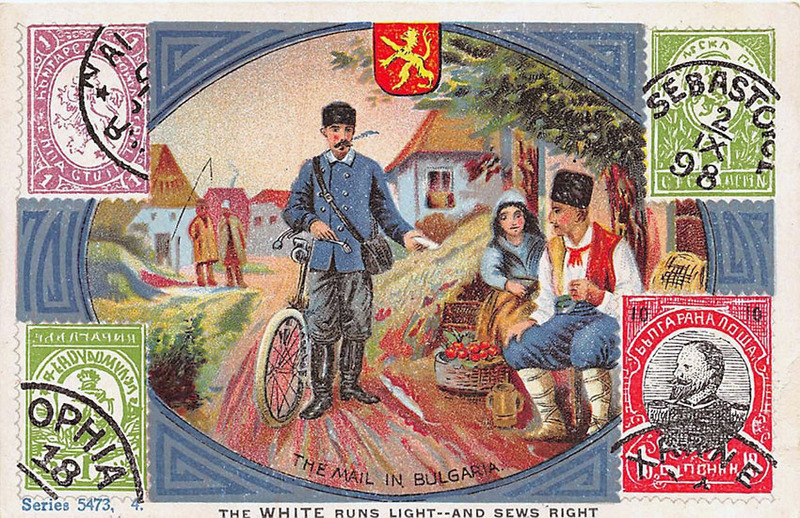 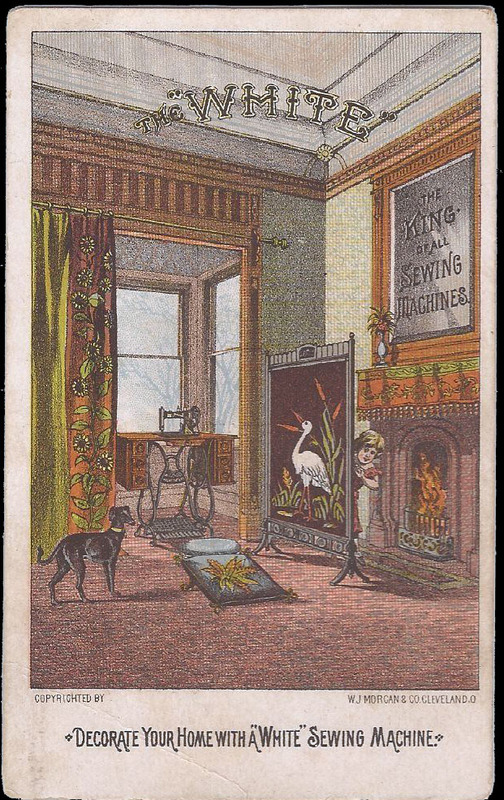 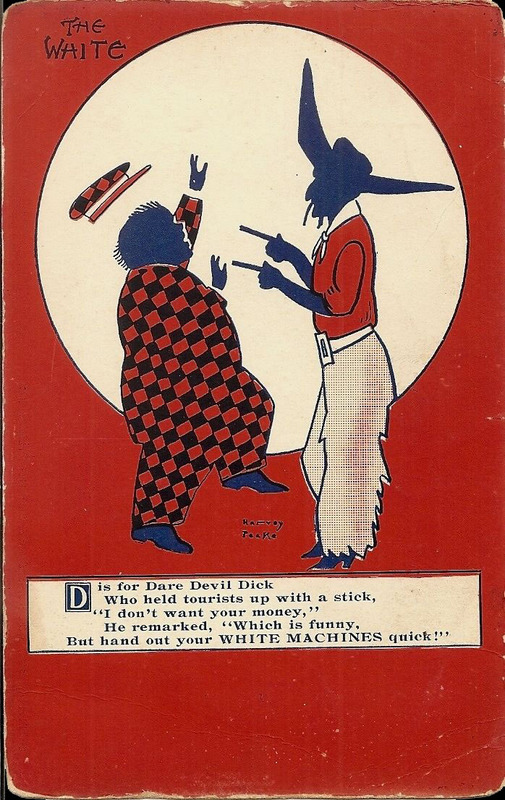 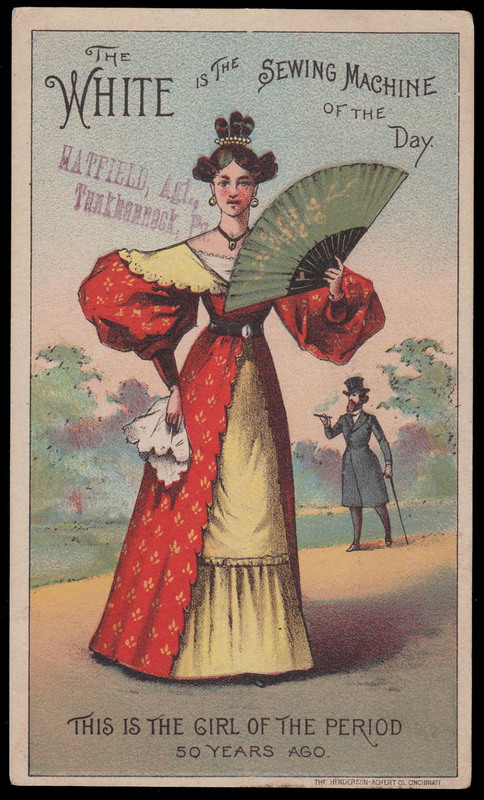 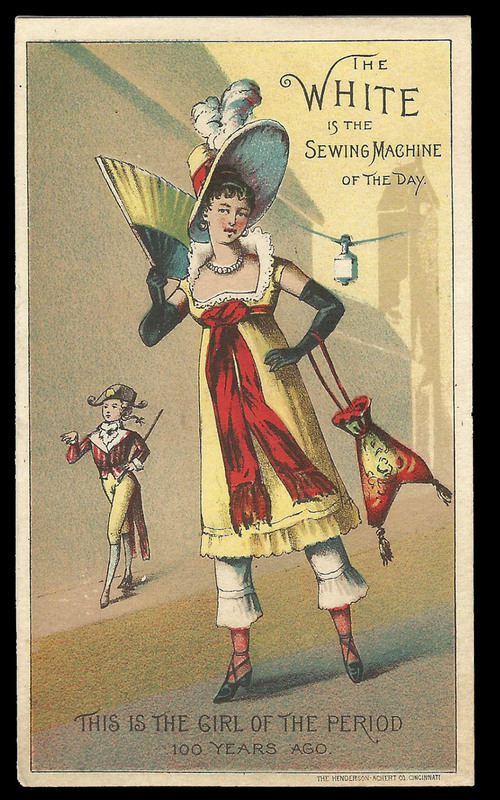 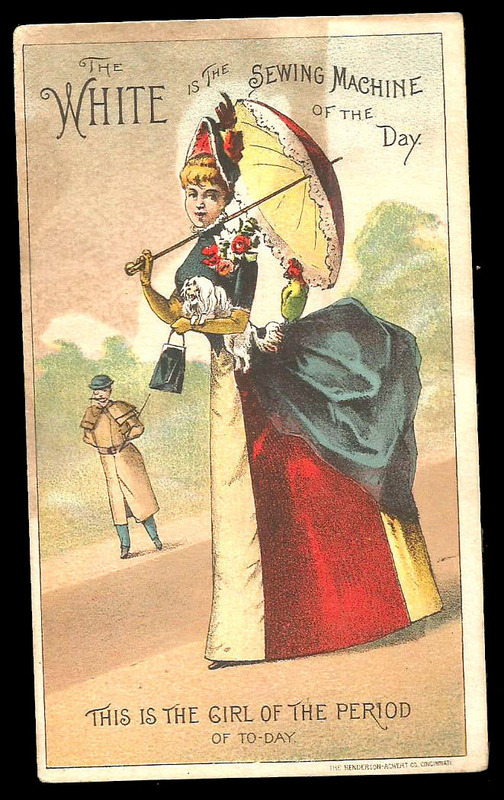 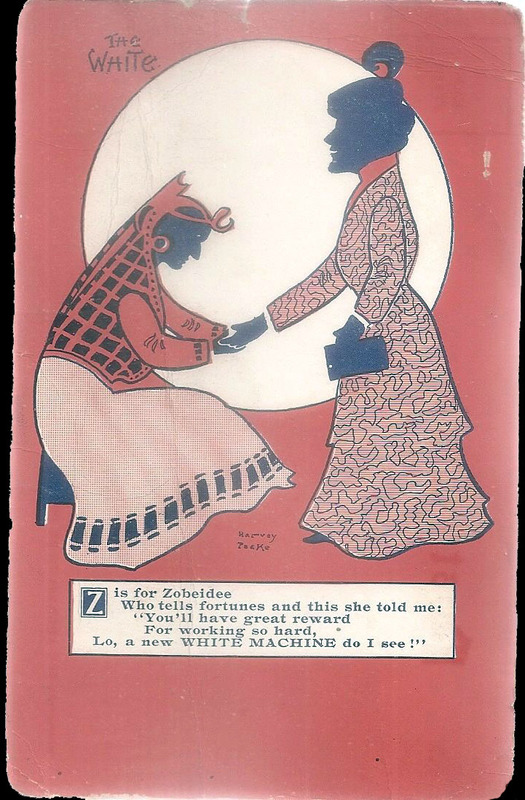 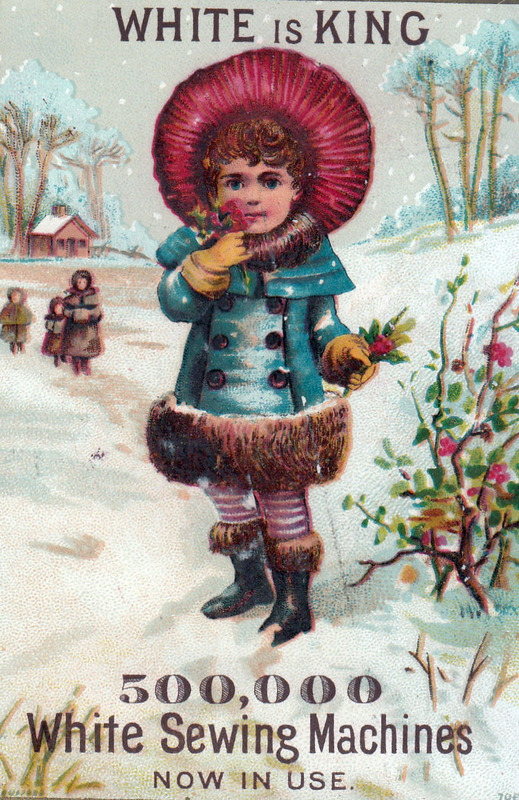 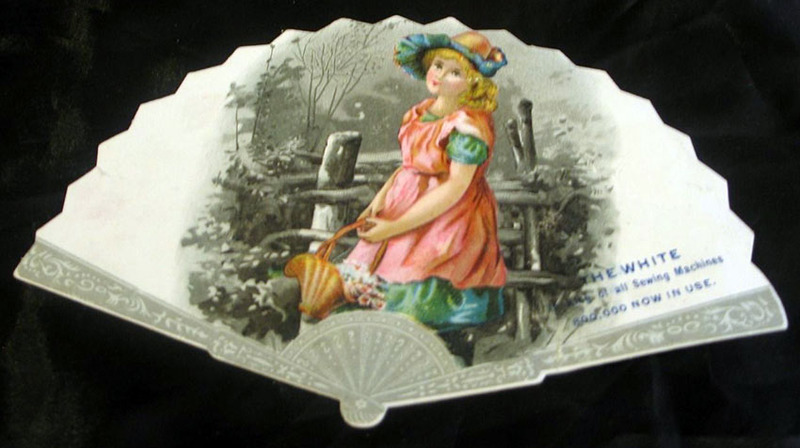 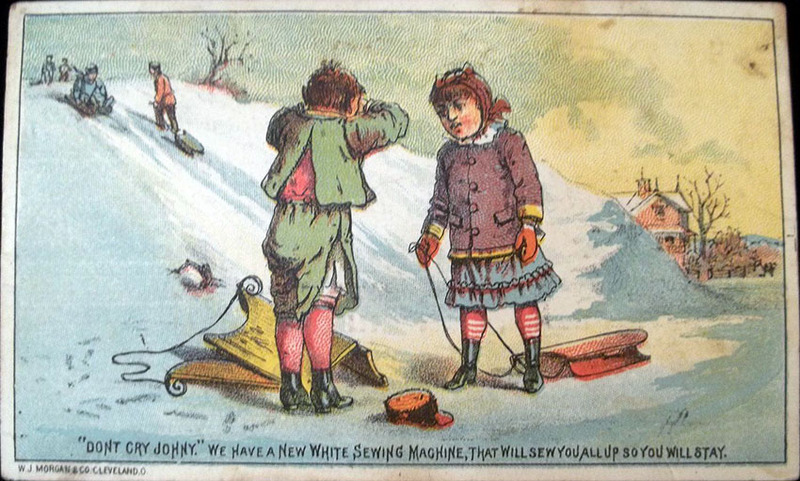 White Sewing Machine Co trade cards and adverts used humour to sell product. 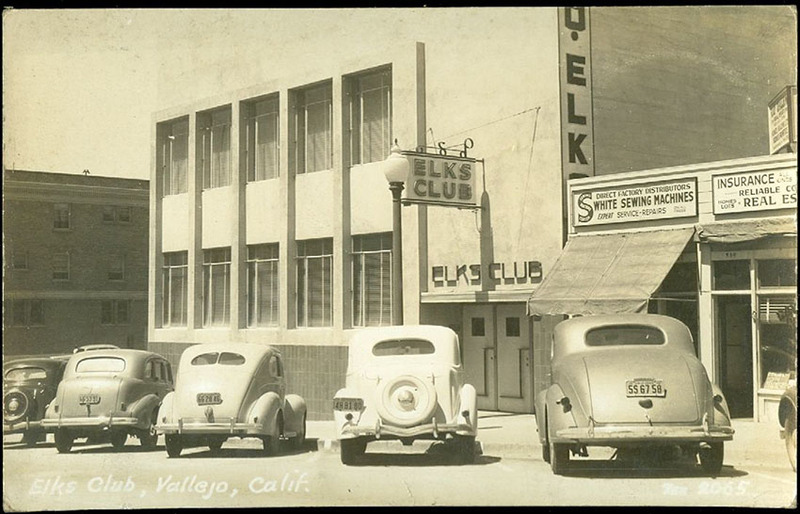 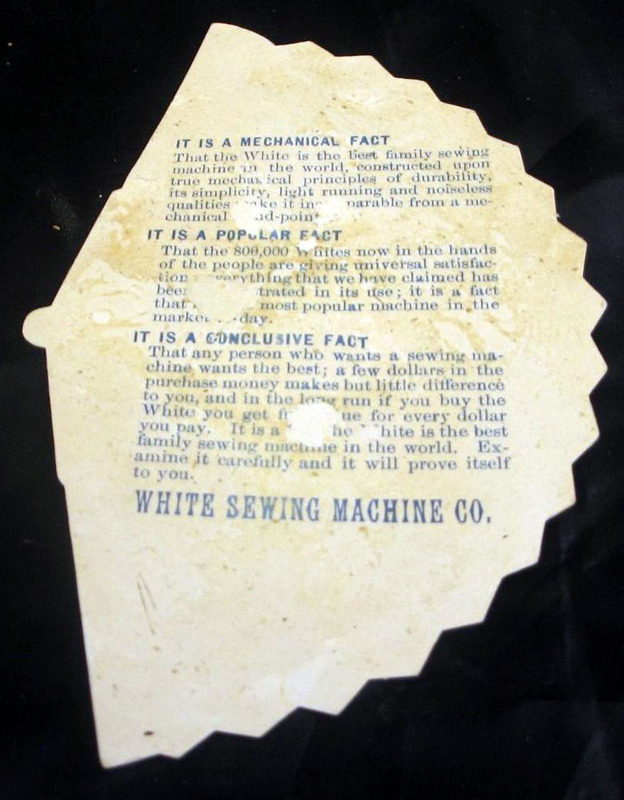 This was the beginning of the advertising business as we know it today. 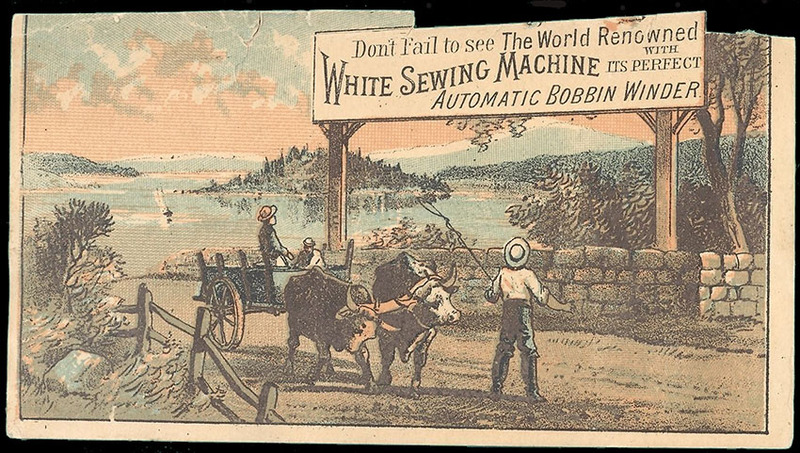 For the first time, mass-production enabled companies to supply an infinite quantity of machines cheaply enough for customers to use in their own home. 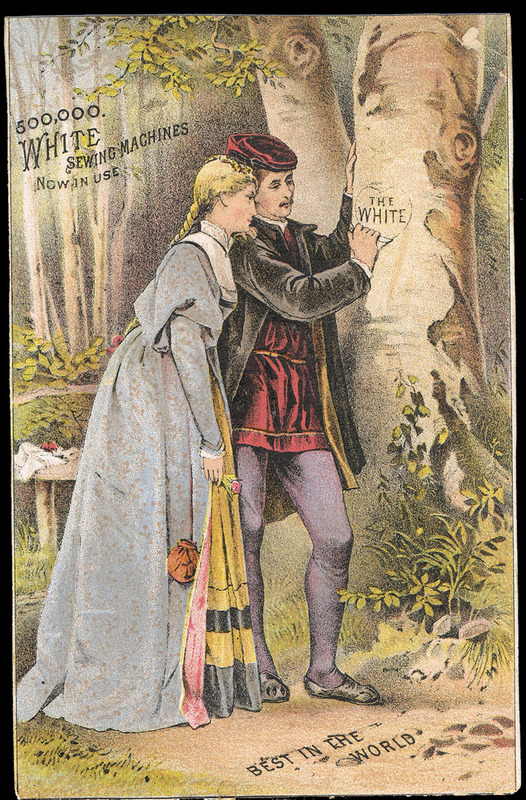 The market was wide open, first in America, then Europe, and after that the rest of the world. 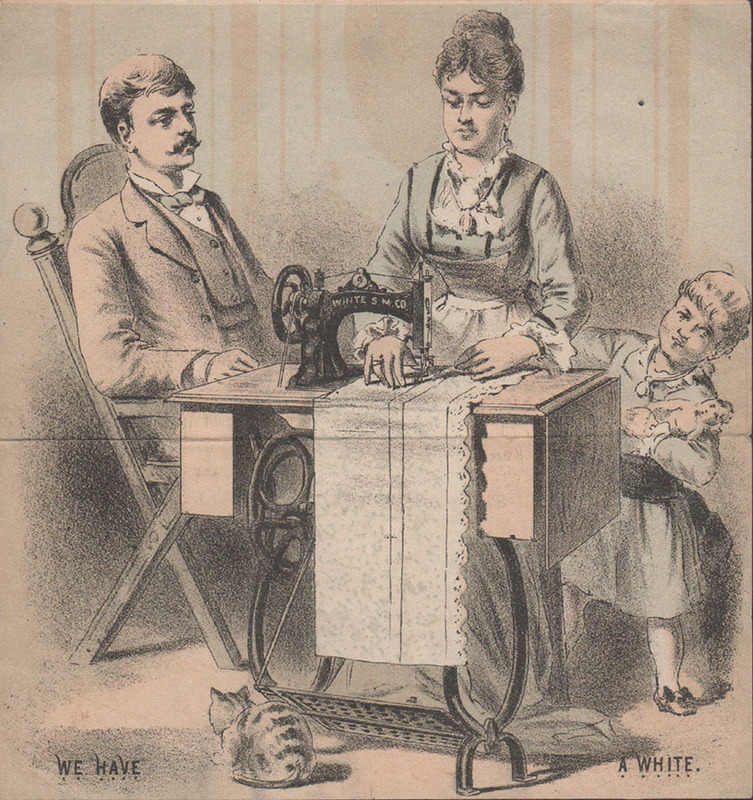 Companies used every means possible to introduce their products to home customers. 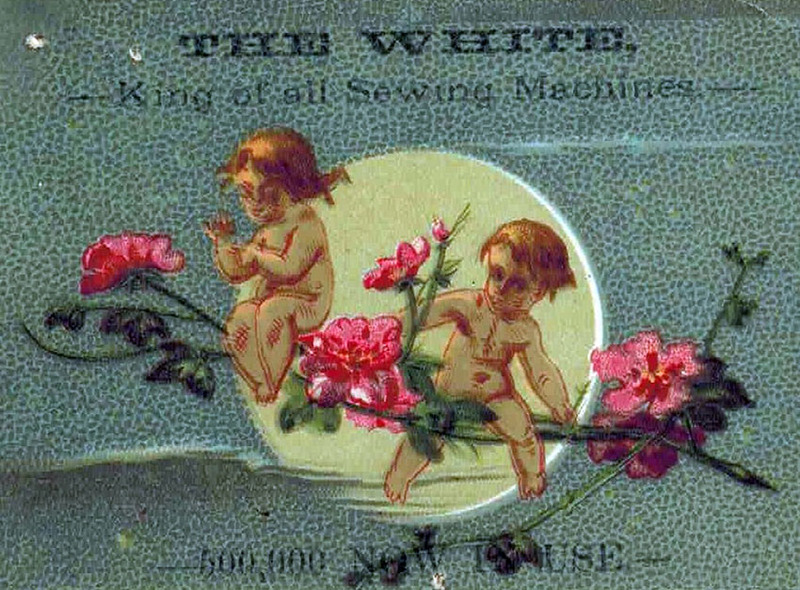 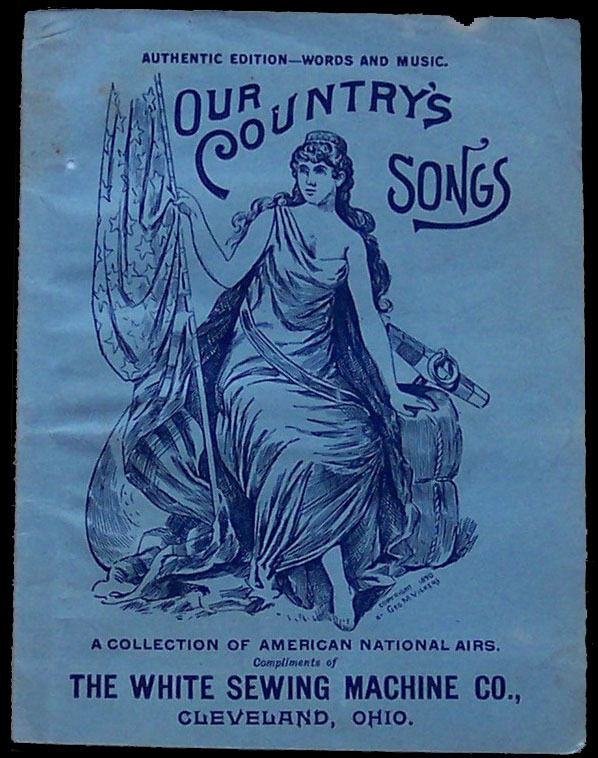 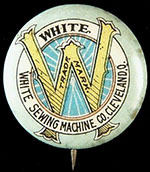 The White Sewing Machine Co had a good product and reputation, an efficient after-sales service, and their adverts were also the best. 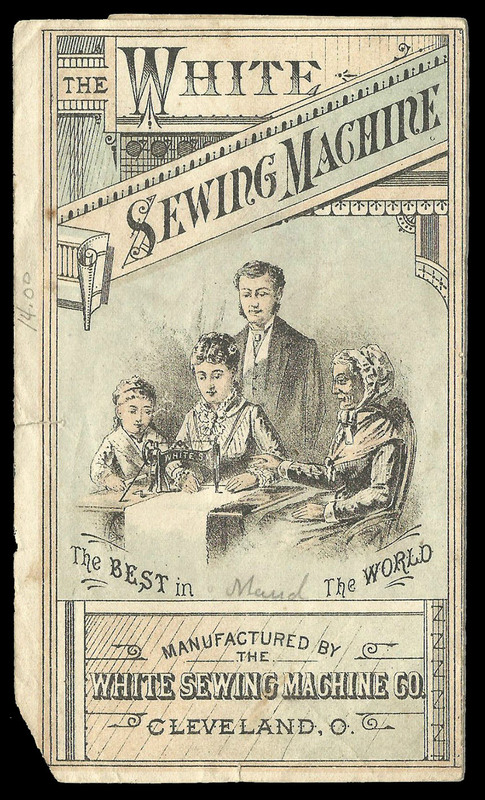 They became the second biggest sewing machine company in the world, after Singer, so we must assume that their advertising campaigns were successful. 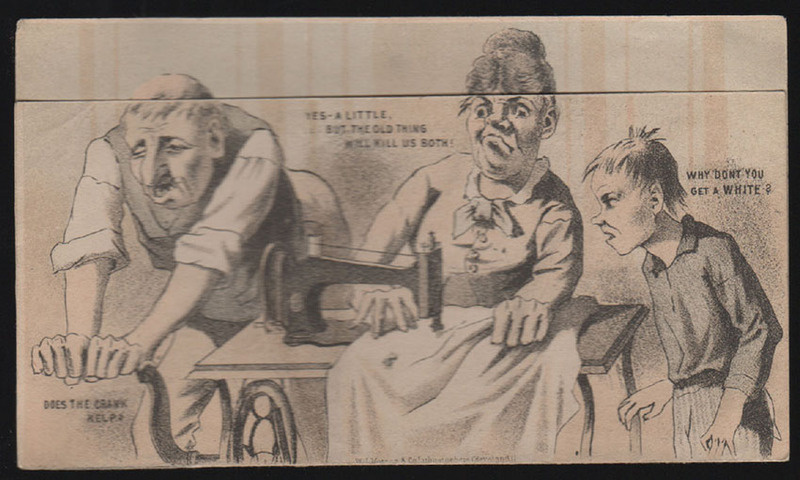 This humorous card shows a struggling family (above) without a White Sewing Machine, and the contented family, below, who have already purchased one.